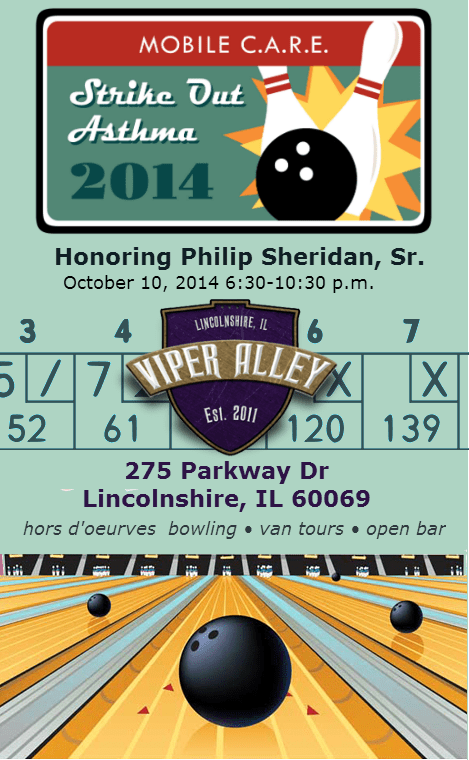 Thank you for purchasing tickets to Strike Out Asthma, taking place at Viper Alley on October 10, 2014 from 6:30pm – 10:30pm. We look forward to seeing you there! If you have any questions, please contact Matt Siemer at msiemer@mobilecarefoundation.org.